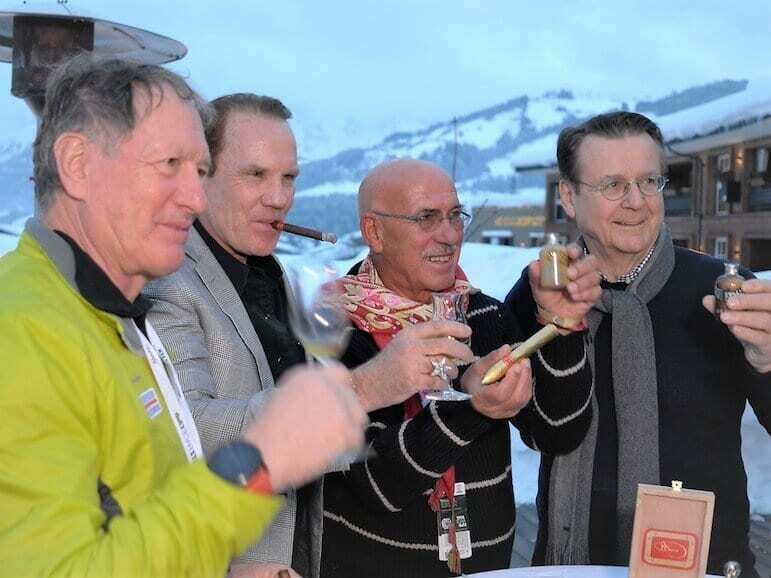 For the fifth time, Daniel Marshall lit the “modern campfire,” as he likes to call his DM cigars, on the sidelines of the world renowned Hahnenkamm races. 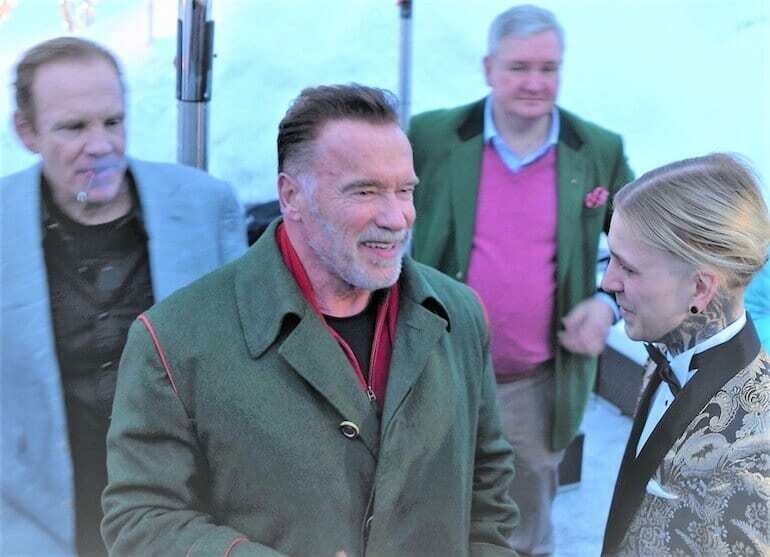 In the cigar lounge of the Kitzbühel Country Club (KCC), the American humidor producer not only welcomed the Hollywood star and former Californian governor Arnold Schwarzenegger but also the latter’s nephew Patrick. As a new co-owner of the Austrian tequila brand Padre Azul, the lawyer demonstrated the cigar fitness of “his” agave spirit. The matching glasses were brought to the country club by Maximilian Riedel from nearby Kufstein. 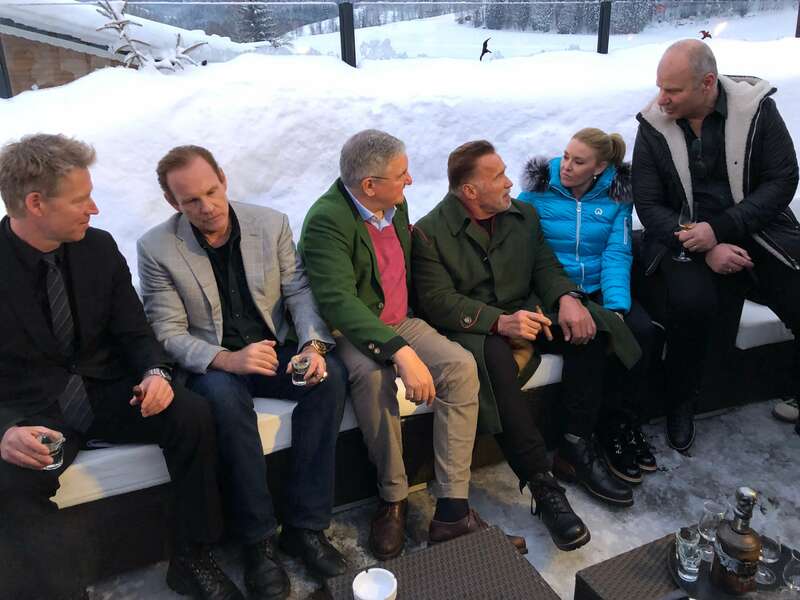 “The best carpenters are not only to be found in Tyrol,” said KCC founder Richard Hauser, humorously remembering the establishment of the humidor in the popular lounge by Daniel Marshall at the cigar event’s anniversary. Taking part in not letting the (camp)fire go out and also in the tasting were the skiing legend Franz Klammer, the director Otto Retzer, the German Olympic fencing champion Britta Heidemann, the speed skier Franz Weber, the Swiss racing car driver Christina Surer, and the cigar specialist dealer Tristan Lukele (Vienna), and Wolfgang Graf (Wolfurt). And, of course, glittering in the wintery, snowy atmosphere were some golden DM cigars that have made the Californian world famous. Enclosed you will also find the post-reporting on Youtube.